The pre-season Parent-Player Information Meeting for the High School Boxing Team will take place Monday October 13, 2014, at 7:30pm at Cincinnati Fitness and Boxing (2929 Spring Grove Avenue, Cincinnati, OH 45225.) If you or anyone you know is interested in learning and competing in boxing, please attend this meeting. Last year 34 athletes from 14 different area high schools competed on the team, learning the sport of boxing while improving their technique, cardiovascular conditioning and core strength, while also learning sportsmanship and self-respect. The season culminated in our annual boxing show against students from the Aquinas Institute from Rochester, NY in which we won 15 out of 18 matches. We also had three team members compete in the Regional Golden Gloves competition last season with two of them winning their weight divisions! Practices begin Monday, November 3 from 3:30-5:00pm. To start the season, practices will likely be 3 days per week after school. The exact days of practice may fluctuate from week-to-week, but will always be communicated and posted on this site the prior week. This entry was posted in Uncategorized on October 6, 2014 by CincinnatiAmateurBoxingClub. We hope everyone has had a good summer. It’s been a while since the last update here. Thanks to everybody who came to the Post-Season Awards Banquet and, as we said there, thanks to everybody for making the 2013-2014 season such a great team. Congratulations to all of the graduating seniors, especially those who had been on the team for multiple seasons, including 4 year team members Aaron Webb, Alec Pleatman and Chase Collier from Moeller and John Hautz from Elder and 3 year team members Shane Thompson from Moeller, DJ Allen from Taft and Elle Bisbee from Madeira. Elle is now the Vice President of the UC Boxing Club along with the President Katie Harrington who is also a former member of the High School Team. Thanks to the graduates for all of your years of hard work and good luck in college this year. Come back and see us any time. 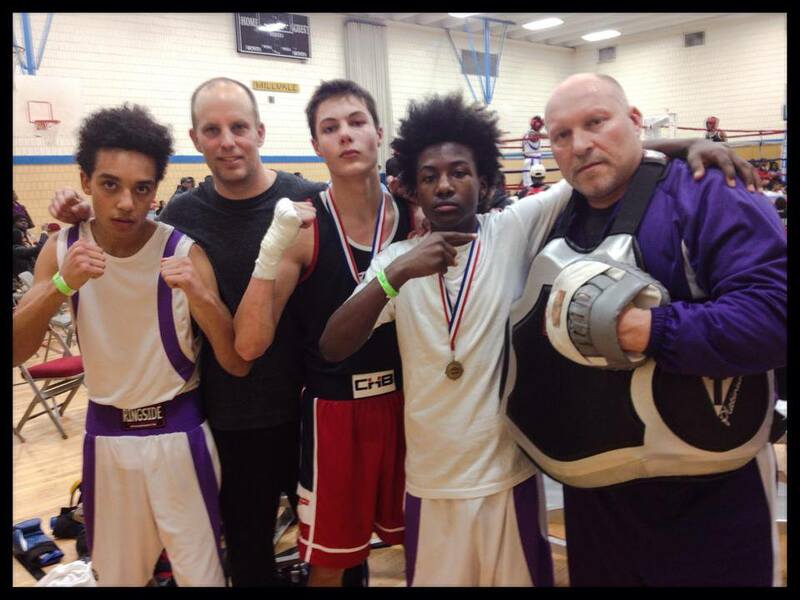 Congratulations also go out to those who fought in the Regional Golden Gloves tournament this past March. Darius Brown (SCPA) continued his winning ways, TKOing his opponent in the 3rd round. Sjors Verhaak (Walnut Hills), in his first sanctioned amateur match, also won by 3rd round TKO, coming back after a tough first round to dominate the next two rounds and finish his opponent in the 3rd. Javier Gresham (SCPA) also competed in his first amateur fight, losing a close decision, but fighting well. We’re starting to get geared up for the 2014-2015 season. Practices for the 2014-2015 season will start in late October or early November. For the High School Boxing Team, there will be an information session prior to the upcoming season, likely in early October. Check back here for more information about the meeting date and upcoming season. For the UC Boxing Club, there will be an information session on Thursday, Sep 4 at 7:00pm in Room 427 in TUC. There will also be pre-season training and conditioning sessions on campus starting in early September. We looking forward to another great season in 2014-2015. For any questions, contact one of the coaches or send an email via the Contact page. This entry was posted in Uncategorized on August 29, 2014 by CincinnatiAmateurBoxingClub. Dress is casual. The banquet is free for team members and $15 per guest. Payment for guests can be made at the event. If you haven’t already, please RSVP to Coach Jeff as we need to supply a final headcount to Dave & Buster’s this week. You can email at jeff.perry@citi.com or text/call at 513-417-2463. This entry was posted in Uncategorized on February 19, 2014 by CincinnatiAmateurBoxingClub. Congratulations to the Cincinnati High School Boxing Team on its most successful competition against Aquinas Institute ever! The team traveled to Rochester, NY on Feb 7-8 to take on Aquinas in the 11th annual competition between the two boxing programs. The trip was a lot of fun and a great experience. There were 18 total matches, with CHB going 15-3 overall! This was by far the most successful CHB has been in this competition, as the two programs have been fairly equal the past several seasons. Aquinas has a young team and we know they’ll be training hard for us next year. The show opened with 6 girls’ matches. In the opener was Reagan Hassler (freshman, Badin). Reagan’s opponent came out strong and bloodied Reagan’s nose in the 1st round. Despite blood running down her face, Reagan got more aggressive in the 2nd, coming forward non-stop and knocking her opponent down several times. Reagan took the victory by TKO after the fight was stopped in the 3rd following another knockdown. In the 2nd match, Hailey Snow (sophomore, Colerain) fought hard but was giving up about 20 lbs to her opponent. Hailey hung in there all 3 rounds, but the size was too much and Hailey lost by decision. Next up, Hannah Basil (freshman, Oak Hills) took on a junior. Hannah used her always strong fundamentals and a stiff jab to win the decision. In the 4th match, Ragan Wilson (sophomore, Colerain) won a hard fought victory. Both first year boxers competed hard, but Ragan’s power was a little too much. Next up came the experienced girls on both teams. First, Mara Cash (junior, Walnut Hills) used her outstanding footwork to move to angles and pick her opponent apart with long straight punches. The CHB coaches thought Mara put on a boxing clinic, showing how to use movement to avoid punches while landing her own. Elle Bisbee (senior, Madeira) saved her best for last. Elle fought by far her best match ever, using great head movement to get inside of her taller opponent to land clean, crisp combinations to take the win. With a performance like that, the coaches would have loved to have Elle back next season. After such an impressive display by the girls, going a combined 5-1, the boys had a hard act to follow. But they lived up to it. Starting off was Brandon Adams (freshman, St. Xavier). Brandon has one of the best jabs on the team and used it to win a tough fight. Keanu Barnes (sophomore, Oak Hills) was next. Due to a late replacement, Keanu, at just 113 lbs, had to fight an opponent who weighed 134 lbs. Despite the weight difference, Keanu was game for the fight and competed hard. However, the bigger opponent was able to trap Keanu in the corner a couple times and took the decision. Keanu will learn from this and use his quickness and athleticism better next time. Next up came of string of 8 wins in a row for CHB! First, Jake Harrington (junior, Madeira) won a very close decision. The first round was rough, with a lot of holding and wrestling. However, in the 2nd and 3rd rounds, Jake slowed things down and used much better boxing technique to earn the win. Jake listened to his coaches well and made a nice mid-fight adjustment to outbox his opponent. Ben Leonardi (sophomore, Walnut Hills) was boxing in his father’s alma mater, as his dad actually boxed for Aquinas. Ben dominated the first round getting several standing 8 counts and then controlled the last two rounds to win by decision. Next came one of the most enjoyable matches of the show. Sjors Verhaak (sophomore, Walnut Hills) was taking on a shorter opponent and a southpaw named Spencer Ramos. Sjors controlled the early parts of the first round, however, the tide turned when Spencer landed a hard left to Sjors body right on the liver. Sjors was visibly hurt by the blow and Spencer followed it up with several more body shots. The referee looked like he was close to stopping the fight as Sjors was bent over in pain. In the corner between rounds, the coaches told Sjors to keep his right elbow tight against his body and to circle to his left to avoid more body punches to the liver area. Sjors listened and executed to a tee. He kept his right elbow glued to his ribcage and started using his reach advantage to keep his opponent at a distance. Spencer did sneak in a few more body shots, but Sjors showed great toughness to gut through them and came on strong late to win the 2nd and 3rd rounds and take the decision. It was a great mid-fight adjustment and comeback by Sjors and the coaches were really excited by his performance. Next was one of CHB’s best boxers, Darius Brown (junior, School for the Creative and Performing Arts). 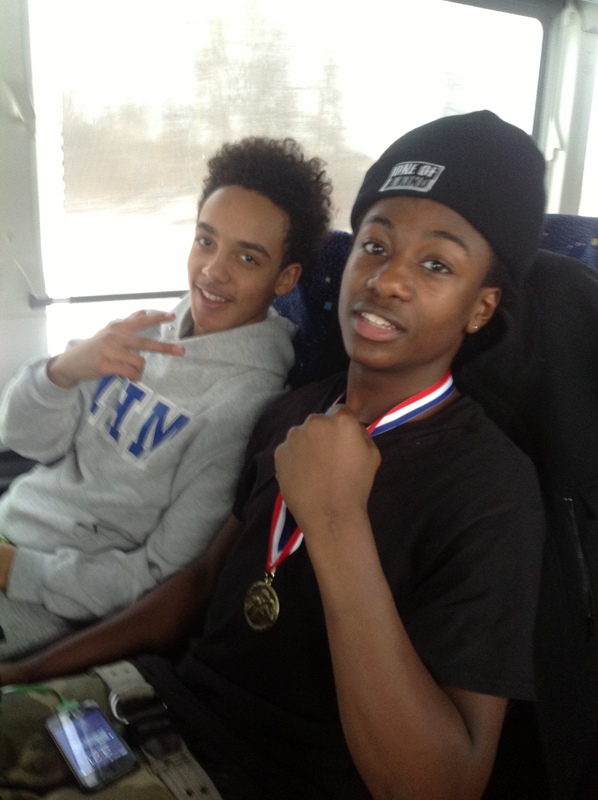 Darius has been on a roll lately, winning several USA Boxing amateur matches. Darius kept his undefeated streak going with another hard fought win here. His opponent was very game, but Darius used his speed and power well. Darius was probably looking for the one-punch knockout a little too much and will let his quick combinations fly better next time. Javier Gresham (junior, School for the Creative and Performing Arts) fought probably his best fight. Javier used big hooks and a monster right uppercut to hurt his opponent to control the entire match and take the victory. Eddy Gilfilen (junior, Madeira) won another decision in the next bout. Eddy, a first year boxer, was fighting a slightly more experienced opponent. However, Eddy showed good toughness to land more effective shots and take home a solid win. Alec Pleatman (senior, Moeller) was fighting his final match for CHB in his 4th year on the team. Nobody has improved more than Alec has over the past 4 years. Alec was bothered by a recent back injury, but didn’t let that slow him down in his match. A southpaw, Alec used his typical good angles and combinations to win a hard-fought match. Next up was not only the Fight of the Night and Fight of the Season, but probably the best fight ever between CHB and Aquinas. John French (sophomore, Walnut Hills) took on freshman Damon Burton from Aquinas. This match was an all-out war that had the crowd on their feet yelling the entire 3 rounds. The first round was back and forth with both fighters landing bombs. However, John just got stronger as the fight wore on. As his opponent started to tire late, John kept up a relentless pace and gave his opponent no time or space to relax. John used a great jab in the third round to stay right on top of Damon and take a convincing victory. Congratulations to both John and Damon on an amazing match. 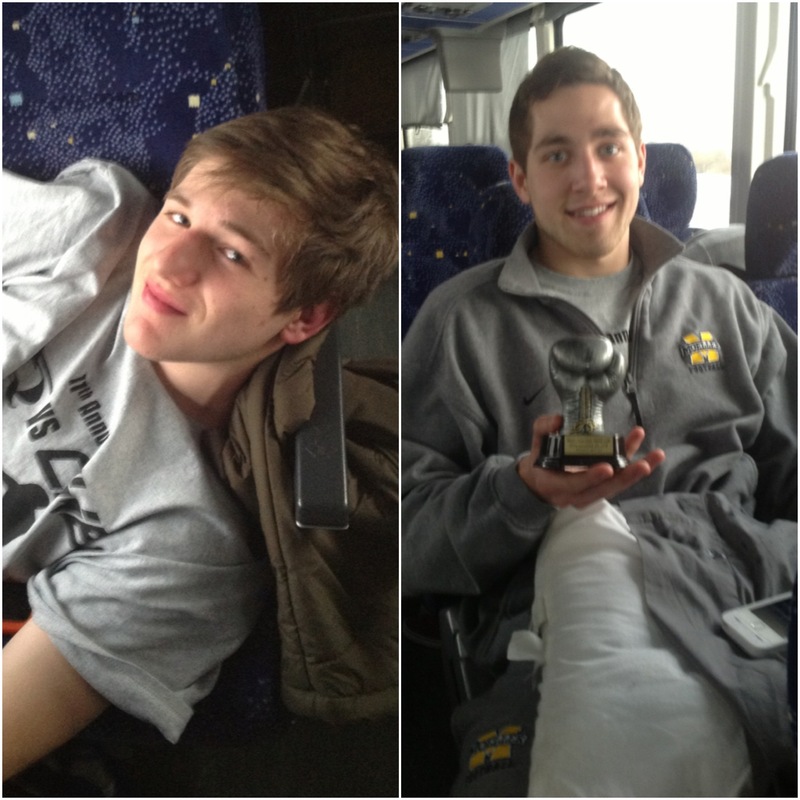 Just a sophomore and freshman respectively, these kids are going to be tough to beat the next couple seasons! Aaron Webb (senior, Moeller) was also fighting his last match for CHB, a rematch against his opponent from last year, Dan Ketterer (senior, Aquinas). These kids had a tough act to follow after the fight that preceded it, but both used extremely sound boxing technique to put on a good match of their own, with Dan Ketterer taking a close decision for Aquinas. Despite the loss by Aaron, the Aquinas coaches were very impressed by Aaron and thought he had the most sound boxing technique on the team, selecting him as the CHB Fighter of the Night. The CHB coaches felt the same about Dan and selected him as the Aquinas Fighter of the Night. Congratulations to both boxers! In the final match of the night, Kevin Blount (junior, Walnut Hills), a fist year boxer, was giving up a lot of experience to his opponent, a 4th year boxer. However, Kevin was more than game for the fight and boxed maybe the best single round of the night in the 1st round, using good movement to land clean straight punches to both the head and body. Kevin then went on to almost get stoppages in both the 2nd and 3rd rounds, with his opponent just being saved by the bell in the 3rd. Kevin, who also plays quarterback for Walnut Hills, performed great, but also learned that boxing, despite only being 3 short rounds, is every bit as tough as going 4 full quarters in football. Thus capped an amazing day of fights and a great season for CHB. The Aquinas team, coaches, officials, parents and volunteers hosted a great event as always. We thank them for their hospitality and sportsmanship and wish them luck in their upcoming Mission Bouts! CHB got the better results this season, but we have no doubt Aquinas will train hard and come back strong next year. 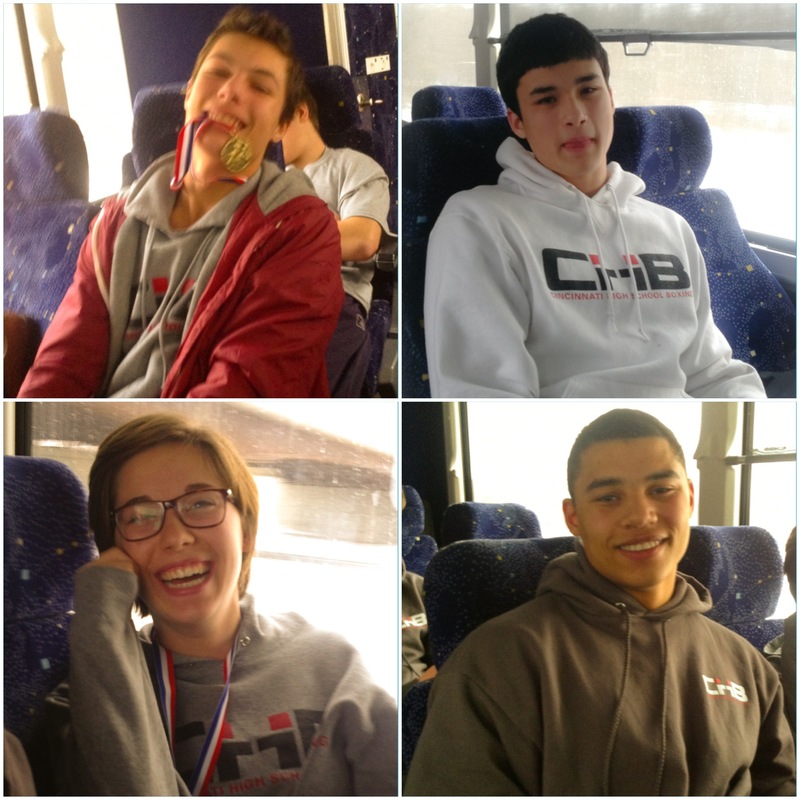 We hope all the kids on the CHB team had a fun season and a great experience in New York. The coaches are very proud not only of their results, but even more by how every single one of them boxed and competed and how they represented the team. We’re already looking forward to next season! This entry was posted in Uncategorized on February 17, 2014 by CincinnatiAmateurBoxingClub. 12:00am approx. – Arrive Cincinnati. On the way back, we will stop a few hours from Cincinnati to eat and to call home for an update on our arrival time. We will take as many boxers as possible on the trip. Bouts against Aquinas are made based on age, weight, experience and skill level. We do our best to match as many boxers as possible. However, it is not guaranteed that all boxers will get a bout if a fair match-up cannot be made. Boxers are responsible for their own meals (breakfast and lunch on Feb 8 are free.) Parents are responsible for making their own hotel reservations, mention the group name JEFF PERRY BOXING to get the discounted rate at the Comfort Inn. 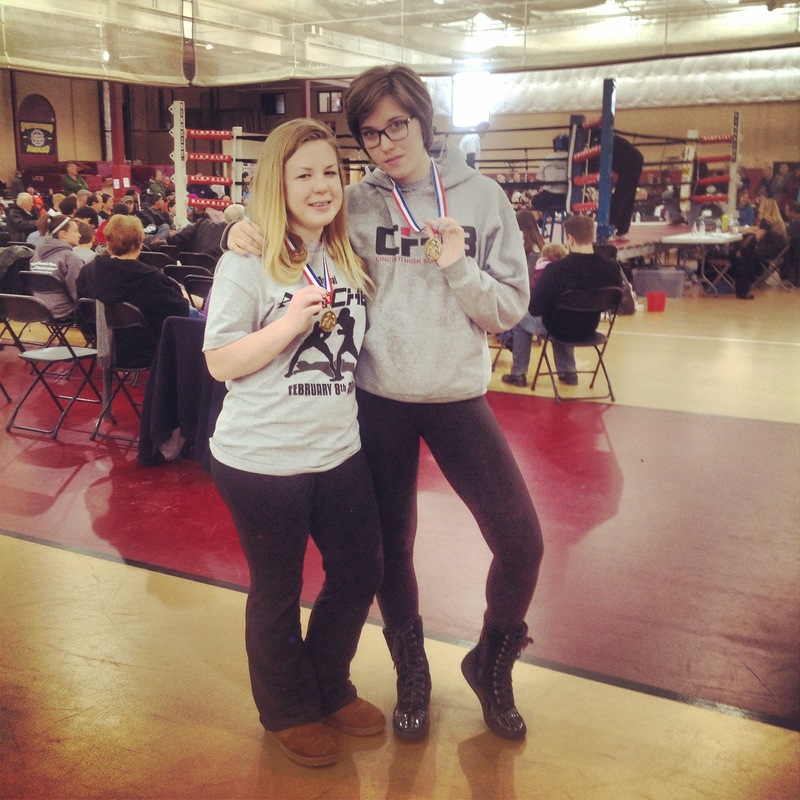 This entry was posted in Uncategorized on January 30, 2014 by CincinnatiAmateurBoxingClub. The teams put on another really fun show this past Friday night in their second intramural show of the season. There were 16 matches in all, pitting team members against each other. The team motto this season is, “More Sweat Now, Less Blood Later”, but that definitely didn’t apply here. There were more bloody noses and lips than we’ve ever had before. This is a result of the intensity being higher this time with the fights being judged and also shows us that we need to work more on our defense over the next couple weeks. The kids didn’t seem to mind the blood at all and showed great toughness and heart fighting through it. The coaches almost had it worse, having to clean the ring after each fight. There were many candidates for “Fight of the Night” and “Fighter of the Night”. The coaches chose Alec Pleatman vs. John French as the “Fight of the Night”. Both of them boxed really well and landed clean, crisp combinations. Alec has improved a lot this season, winning “Fighter of the Night” at the first show and now contributing to the “Fight of the Night” here. But John French used his fast hands to land a few more shots and took home the close decision. All three judges scored it the same, 29-28, with John winning the first two rounds and Alec fighting back to win the 3rd. Runner-up for “Fight of the Night” was Elle Bisbee vs. Hannah Basil. Both showed really good technique in their match, with Hannah winning by split decision. There were many other really good matches, as evidenced by many split decisions on the night. All of the team members should be proud of their performance, but “Fighter of the Night” goes to Darius Brown. Darius used his quickness, fast combinations and good power to win his match over John Hautz via corner stoppage after the 2nd round. The fight was stopped as the corner couldn’t stop the bleeding, although John was game to continue. Darius has been on a roll lately, winning several amateur USA Boxing bouts as well. There were other strong candidates for “Fighter of the Night”. As previously mentioned, John French boxed great in a really tough match. Aaron Webb boxed by far the best he has in his 4 years on the team, winning a close split decision in a tough match against Shane Thompson. Some of the 1st year boxers looked really good as well. Brandon Adams showed a great jab to keep the shorter Nate Todd from getting inside against him. Lydia Snow showed tremendous improvement from her first match. Kenny Blount came out strong and aggressive in his match, pushing the pace in a tough fight against Jake Harrington. Many others also fought great and should be proud of their performance. Thanks to all who came out and supported the kids. The High School Team now has two weeks of practice left before heading to New York on Feb 7-8 to take on Aquinas Institute. Based on their showing tonight, we have high expectations heading into that competition. This entry was posted in Uncategorized on January 28, 2014 by CincinnatiAmateurBoxingClub. The Cincinnati Amateur Boxing Club will have it’s second intramural boxing show of the season on Friday Jan 24 at 7:00pm. Members of the Cincinnati High School Boxing Team and UC Boxing Club will be competing against each other in 16 matches. The first show in December was a lot of fun and the boxers all competed very well. Now, with another month of training and the experience of the prior show, we’re hoping they can step it up another level. This is the final show on the Road to Rochester as the High School Team builds towards their season-ending competition against Aquinas High School in Rochester New York on Feb 8. The fights are open to all friends and family who want to come out and support the team. Cost is $5 at the door to support the team’s trip to Rochester in two weeks. Matches will start at 7:00pm and go until approximately 9:30pm. The show will be held at Cincinnati Fitness & Boxing at 2929 Spring Grove Ave. This entry was posted in Uncategorized on January 22, 2014 by CincinnatiAmateurBoxingClub.